out much better than homes. we grow for lumber now looks like this picture. 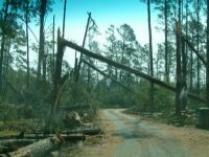 were still waiting for power lines and phone lines to be fixed near their homes. Help on the way. 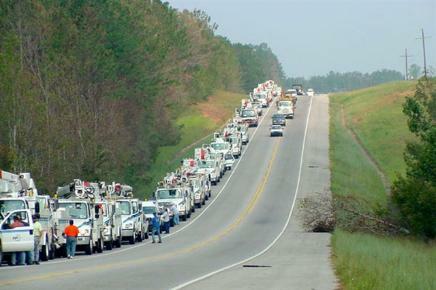 Duke Power trucks coming in all the way from Charlotte, NC. you see people waiting in line to get a hot meal that members from a church were preparing and dishing up. hurricane Katrina, or even read My Own Katrina Story.